The REDFINCH consortium is developing the next generation of miniaturised, portable optical sensors for chemical detection in both gases and liquids. 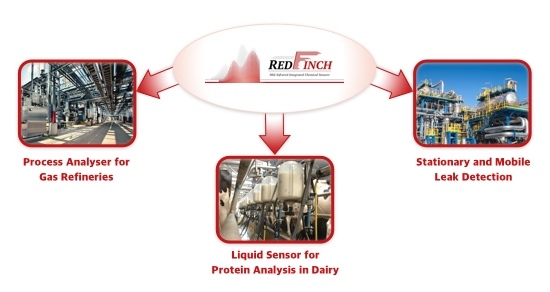 Initial target applications are in the petrochemical and dairy industries. 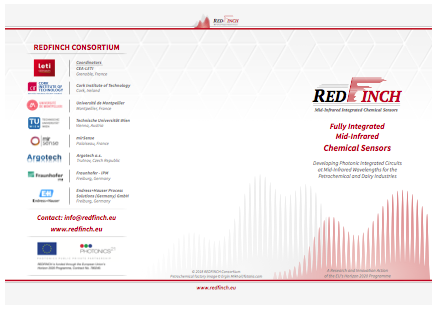 REDFINCH is a consortium of 8 European research institutes and companies, undertaking cutting edge R&D into novel, high performance, cost effective chemical sensors, based on Mid-Infrared Photonic Integrated Circuits (MIR PICs). Silicon PICs — integrating optical circuits onto millimetre-size silicon chips — create extremely robust miniature systems, in which discrete components are replaced by on-chip equivalents. This gives a simultaneous improvement in ease of use and a reduction in cost. The April 2019 Newsletter is available now!